Starring: Naomi Watts, Laura Harring, Justin Theroux, and more. Requested Review from Owen Traynor! Right out of the gate, I would like to thank my friend Owen for completely f*#(ing up my mind on the night I watched this film. If that is not enough of a heads up for my readers and followers for what this film does and is about, I do not know what else would be. Here we have a requested review on ‘Mulholland Drive’, a mystery thriller from the mind of David Lynch. Without any extra fluff or fancy intros, this one was a wild, wild ride. ‘Mulholland Drive’ is simply not a film I can slam or praise. These kinds of mystery thrillers take their audiences on a trip and if you blink, you will be lost more than you are already pre-determined to be, once this film hits you. So for me to review and give it a breakdown, I will split this into two sections; one for the film fans looking to be entertained and one for the film fans that want to be engaged and challenged on top of that entertainment. On an entertainment standpoint, this film has a tendency to drag at times. Throughout my viewing, I had a few moments where I did fall out of the film but it did a great job bringing me back in with its eerie moments, which occurred frequently throughout the film. So regardless of its pacing at times, it has plenty of twists and turns to keep its viewers on their toes and keeping them curious as to what is happening. You truly do not understand what is happening until the end of the film and even then, the questions will not stop there. This film demands to be thought of and interpreted and by no means does it follow the typical A+B=C formula that most films adhere to. 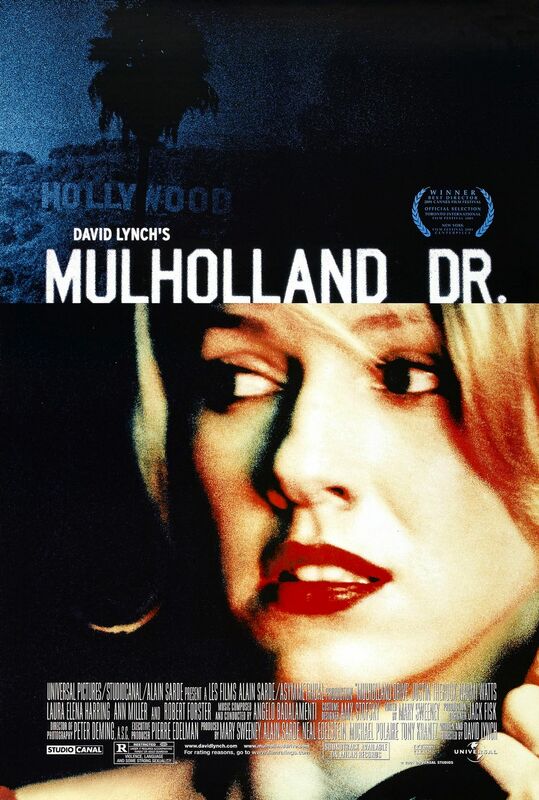 Now from my other perspective, while I have been stating that the film keeps its viewers on their toes and mystery and curiosity are elements ‘Mulholland Drive’ owns 100%, this film is definitely not for all audiences. While directors like Shyamalan pride themselves on one huge twist and/or other films will hit audiences with the big switcheroo that can mostly be seen coming from a mile away, ‘Mulholland Drive’ takes the typical twist and hits you with three times more. It alters timelines you previously thought you understood and adds absolutely obscene moments that may seem like they do not belong but in actuality, they do and mean something much more than how the timeline is presented. With that being said, not everyone goes into films looking to come out confused or being challenged more than a cumulative college final, and not everyone enjoys looking for meaning in every presented detail of a film. With that, this film is not for that kind of audience, but for the audiences that welcome that and love these kinds of mystery thrillers. This film has been out since 2001 and you have been sleeping if you have not seen this yet. However, if that is the case, this is a high recommendation from myself. ‘Mulholland Drive’ goes beyond the conventional film. Mystery thrillers typically challenge their viewers but this one takes it way farther. As one timeline seems to become clear, another one is presented and causes viewers to attempt to piece what they knew previously into what they are newly learning. Not only is it a whole new set of events, it is a constant barrage of twists and turns. With this said, not only is this already a challenging concept, the first story already is strange and confusing to start. Adding in a new series of events only throws its audience another curve-ball. The film challenges its audience from the very start and demands to be thought of well after the film ends. David Lynch created a challenging piece of film in the form of ‘Mulholland Drive’ and good luck trying to figure his madness out during the film or even after the viewing is over. Posted in Movie Review, Oberrated Requests.Tagged David Lynch, Justin Theroux, Laura Harring, Mulholland Drive, Naomi Watts.